The SkinMedica Glow On the Go Travel Essentials kit combines six minis to leave skin feeling protected, hydrated and rejuvenated. A two-step skincare system that works to protect and revitalize skin through the day and night. Lends skin more power to resist environmental attacks during the day, and allows it to recover itself overnight. Provides full atmospheric protection against blue light and pollution. Provides immediate smoothing in the appearance of fine lines and wrinkles while restoring the skin’s natural ability to replenish its own Hyaluronic Acid for overall skin health. Equipped with five different forms of Hyaluronic Acid, the moisturizer instantly smoothens the appearance of fines lines and wrinkles, as well as providing up to eight hours of continuous hydration. 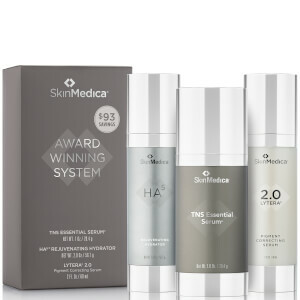 A rejuvenating superscreen with an advanced antioxidant complex proven to prevent premature aging from chronic exposure to infrared. 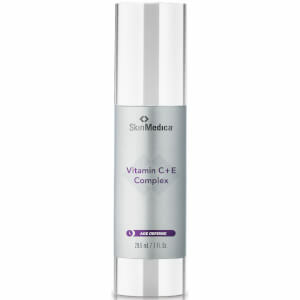 It provides comprehensive protection beyond UVA and UVB while supporting the skin's ability to restore itself. Reduces the appearance of fine lines and coarse wrinkles. Improves skin texture, skin smoothness and skin tone evenness. 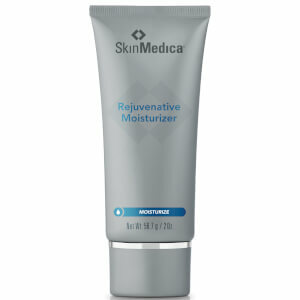 Supports the skin’s ability to restore itself. Rejuvenates photo-damaged skin. Protection from skin damaging effects of UVA + UVB + Infrared-A. A coveted face wash that is suitable and effective on all skin types. Working tirelessly, the cleanser glides onto the visage and works to eliminate environmental pollutants, excess oil and traces of makeup. The foaming formula not only washes away impurities, but due to a healthy dose of Panthenol (Pro-Vitamin B5), the cleanser leaves skin feeling soothed, calm and comfortably hydrated. Shielding skin from external aggressors, the cleanser leaves the complexion feeling smooth, clean and visibly healthy. Detergent free. Day Serum: Apply one pump to the entire face after cleansing in the morning. 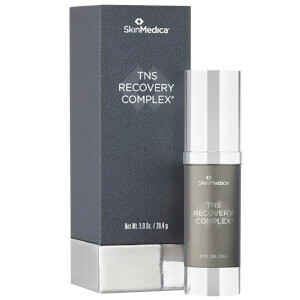 Night Repair Complex: Apply one pump of to the entire face after cleansing in the evening. Hydrator: Apply twice daily to face, neck and chest. Use after cleansing, toning and treating your skin with LUMIVIVE™ System, but before applying moisturizer and sunscreen. Sunscreen: Apply liberally 15 minutes before sun exposure. Reapply at least every 2 hours and after towel drying, swimming, or sweating to avoid lowering protection. Sun Protection measures UV exposure from the sun increases the risk of skin cancer, premature skin aging and other skin damage. To decrease this risk, regularly use a sunscreen with a broad spectrum SPF of 15 or higher and other sun protection measures including limiting time in the sun from 10 a.m.-2 p.m., and wearing protective clothing. Children under 6 months: Ask a doctor. Cleanser: Moisten skin with lukewarm water. Lather cleanser into hands and massage into skin. Rinse thoroughly. Day Serum: Water/Aqua/Eau, Silica, Squalane, Glycerin, Niacinamide, Dimethicone, Butylene Glycol, Glyceryl Stearate, PEG-100 Stearate, Cetearyl, Alcohol, Butyrospermum Parkii (Shea) Butter, Acetyl Tetrapeptide-2, Polygonum Aviculare, Extract, Physalis Angulata Extract, Dunaliella Salina, Extract, Ubiquinone, Camellia Sinensis Leaf, Extract, Tremella Fuciformis Sporocarp Extract, Alteromonas Ferment Extract, Theobroma Cacao, (Cocoa) Seed Extract, Bioflavinoids, Betaine, Melanin, Tocopheryl Acetate, Tocopherol, Hydroxyacetophenone, Caprylic/Capric, Triglyceride, Batyl Alcohol, C12-15 Alkyl Benzoate, Panthenol, Ceteareth-20, Xanthan Gum, Ethylhexylglycerin, Disodium EDTA, Propanediol, Caprylyl Glycol, Potassium Sorbate, Sorbic, Acid, Phenoxyethanol. Night Repair Complex: Water/Aqua/Eau, Pentylene Glycol, Caprylic/Capric, Triglyceride, Ethoxydiglycol, Glycerin, Butylene, Glycol, Polyacrylate-13, Mitoquinol Mesylate, Vitis, Vinifera (Grape) Flower Cell Extract, Mirabilis Jalapa, Callus Extract, Alteromonas Ferment Extract, Vibrio, Alginolyticus Ferment Filtrate, Pentapeptide-34, Trifluoroacetate, Acetyl Tetrapeptide-2, Tocopheryl, Acetate, Polyisobutene, Lysolecithin, Sclerotium, Gum, Hydroxyacetophenone, Xanthan Gum, Pullulan, Polysorbate 20, Diethylhexyl, Syringylidenemalonate, Caprylyl Glycol, Disodium, EDTA, Ethylhexylglycerin, Phenoxyethanol. Sunscreen: Active: Octinoxate 7.5%, Octisalate 3.0%, Zinc Oxide 8.0%. Inactive: Water, Caprylic/Capric Triglyceride, Silica, Squalane, Glycerin, Niacinamide, Dimethicone, Glyceryl Stearate, PEG-100 Stearate, Cetearyl Alcohol, Butyrospermum Parkii (Shea) Butter, Polygonum Aviculare Extract, Physalis Angulata Extract, Dunaliella Salina Extract, Ubiquinone, Camellia Sinensis Leaf Extract, Tremella Fuciformis Sporocarp Extract, Betaine, Melanin, Tocopheryl Acetate, Tocopherol, Hydroxyacetophenone, Batyl Alcohol, C12-15 Alkyl Benzoate, Panthenol, Butylene Glycol, Ceteareth-20, Polyhydroxystearic Acid, Isostearic Acid, Xanthan Gum, Ethylhexylglycerin, Disodium EDTA, Aminomethyl Propanol, Caprylyl Glycol, Potassium Sorbate, Sorbic Acid, Phenoxyethanol. Cleanser: Water/Aqua/Eau, Disodium Laureth Sulfosuccinate, Cocamidopropyl Hydroxysultaine, Sodium Lauryl Sulfoacetate, PEG-150 Pentaerythrityl Tetrastearate, Camellia Oleifera Leaf Extract , Glycerin, Panthenol, Butylene Glycol, Ethylhexylglycerin, PEG-6 Caprylic/Capric Glycerides, Disodium EDTA, Phenoxyethanol, Potassium Sorbate, Parfum/Fragrance, Blue 1 (CI 42090), Yellow 10 (CI 47005).